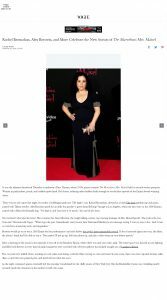 Mercedes Brunelli gifted her bejeweled clutch to Emmy winner Alex Borstein backstage at the 2018 award show in the official Emmys gift suite. 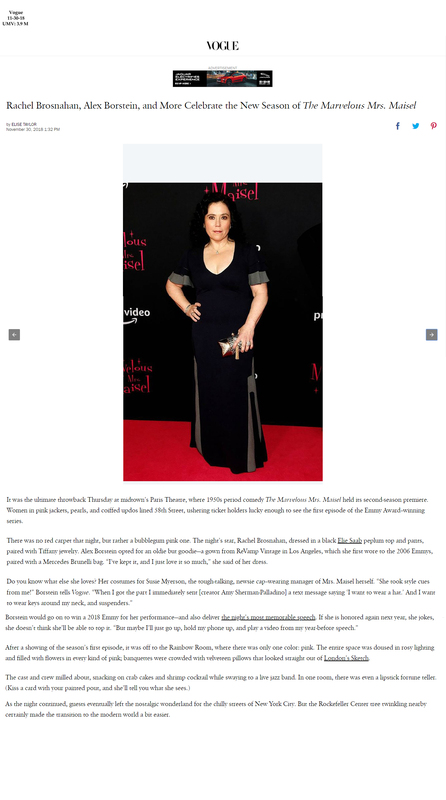 It was spotted on the red carpet of the Marvelous Mrs. Maisel season two premiere, with images published on outlets like Vogue and Just Jared. See more from this article in the above image or on Vogue.